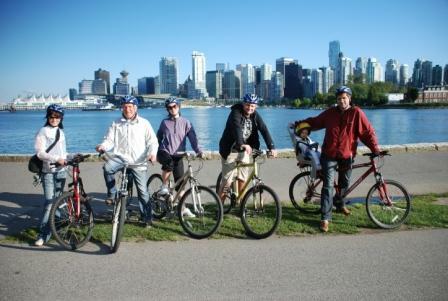 Vancouver’s Stanley Park has been named the top urban park in the world by Trip Advisor. "A mini-forest, beautiful gardens, totem poles and scenic walkways make this such a peaceful location. I made a huge pile of autumn leaves and dove into them like a little kid." The only other Canadian park to have cracked the top 25 was Montreal’s Mont Royal. Meanwhile, New York City had three impressive parks make the top 25. Within the top 10 best Canadian urban parks list, four B.C. parks were named in the list, including Vancouver’s Queen Elizabeth Park and Victoria’s Beacon Hill Park. With a little tender love and care, Queen Elizabeth Park has the potential to be a great city park, one worthy of such a list. As it stands right now, the park lacks uniformity, maintenance and the amenities of Stanley Park; it is a stark contrast to Queen Elizabeth Park’s pristine condition just 20 years earlier. 1. Stanley Park, Vancouver, B.C. 3. Beacon Hill, Victoria, B.C. 5. Queen Elizabeth Park, Vancouver, B.C. 10. Parksville Community Park and Skate Park, Parksville, B.C. The temperate rainforest of Stanley Park is almost completely surrounded by ocean water, with both gorgeous skyline views and wild forest of 500,000 hemlock, cedar and fir trees. Park connects to the historic waterfront and downtown via a 5.5-mile portion of seawall that surrounds the park, popular with joggers, strollers, and cyclists. Come to Vancouver to look at rose and rhododendron gardens, nine intricately carved First Nations totem poles. You will find a small golf course, an outdoor summer theater, a seaside swimming pool, and areas for lawn bowling round out its charms. Some visitors enjoy the outdoor ice rink in Stanley Park. Nice place to visit with your family and friends.